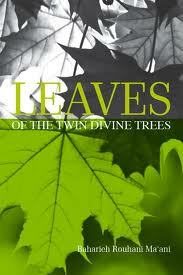 Leaves of the Twin Divine Trees, the first in-depth study in English of the lives of women closely related to the Bab and Baha’u’llah, is the book on which is based a course, to be offered later in 2015. Among the women covered are the two who bore and raised the Twin Manifestations of God, also those who suffered immensely, sacrificed their all and never wavered in their love for and selfless service to the Cause of the Bab and Baha’u’llah. It also covers the lives of a few who outwardly remained indifferent, one who opposed Baha’u’llah fiercely causing Him and His family much suffering and anguish, and two who joined hand with the Covenant-breakers after His ascension. Although some the women have played major role in influencing some historical events, they are generally absent from the pages of the early history of our Faith. The context for the absence will be discussed, the importance of treating women fairly in history emphasized, and the glorious legacy left by some of them as gleaned from the Writings revealed in their honor will be highlighted. 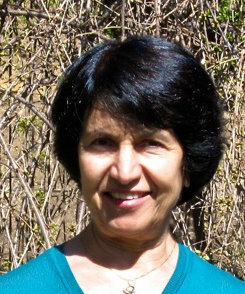 Baharieh Rouhani Maani is the author of Leaves of the Twin Divine Trees, An In-depth Study of the Lives of Women Closely Related to the Bab and Baha’u’llah; Against Incredible Odds, Life of a 20th Century Iranian Baha’i Family; Laws of the Kitab-i-Aqdas, Tracing Their Evolution in Religious History, co-authored with Sovaida Maani Ewing; Asiyyih Khanum, the Most Exalted Leaf, entitled Navvab and numerous articles in English and Persian, mostly on the status of women in religion. She has translated from the Persian Years of Silence and “Glimpses of `Abdu’l-Baha, Excerpts from the Memoirs of Muhammad-Shafi` Rouhani (Rawhani) of His Thirty-nine Day Pilgrimage in April/May 1921,” published in The Baha’i World, Volume XIX. She has also translated many Tablets revealed to and about women, some of which after approval have been included in the Compilation on Women and cited in her publications and talks on gender equality and the status of women in religion.